1. Aslam Amirahmad, Experimental Study on Flexural Behaviour of Concrete Filled Steel Box Members, Published Online March 2014 in SciRes. http://www.scirp.org/journal/ojce, http://dx.doi.org/10.4236/ojce.2014.41005, Open Journal of Civil Engineering, 2014, 4, 45-53. 2. 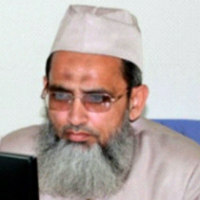 Aslam Amirahmad, Mohammed Jameel, A.B.M. Saiful islam, and M. Khaleel, Efficient three dimensional modeling of high-rise building structures, published in JOURNAL OF CIVIL ENGINEERING AND MANAGEMENT ISSN 1392-3730 print/ISSN 1822-3605 online 2013 iFirst: 112 Published online: 24 Oct 2013. 3. Aslam Amirahmad, and A.Rahman Al-Sinaidi, Analysis of Integral Bridges by Finite Element Method, presented and published in the proceedings of 2nd international conference on rehabilitation and maintenance (ICRMCE), Available online at www.sciencedirect.com, ELSEVIER, SciVerse ScienceDirect, www.elsevier.com/locate/procedia, Procedia Engineering 54 ( 2013 ) 308 314. 4. Aslam Amirahmad, and A.Rahman Al-Sinaidi, Monitoring procedures for the application of theconcept of pre-allocation of total float (876), presented and published in Structures Congress 2013 ASCE 2013 @ Pittsburgh From May 2-4, 2013, pages 873-884, USA. 5. Aslam Amirahmad, Feroz Khan, Mohammed Irfan, Implemetation of Genetic Programming Technique for Simulating Material pPro[erties of Sintered Al-Fe Composite, IOSR Journal of Mechanical and Civil Engineering (IOSRJMCE) ISSN: 2278-1684 Volume 2, Issue 1 (July-Aug 2012), PP 46-50 www.iosrjournals.org. 6. Aslam Amirahmad, and A.Rahman Al-Sinaidi, Analysis of integral bridges by finite element method, presented and published in the proceedings of 2nd International Conference on Rehabilitation and Maintenance in Civil Engineering (ICRMCE), @ Solo, Indonesia, March 8 10, 2012. 7. Dr. Aslam Amirahmad, Dr. M. Z. Khan, and Sanjay Kumar Misra, FLEXIBLE PAVEMENT DESIGN PROCEDURE USING VISCOPLASTICITY AND ELASTO-PLASTICITY, in the Proceedings of National Conference on Recent Advancements in Civil Engineering and Infrastructure Development, Guna, India during Dec.,21-22, 2011. 8. Dr. Aslam Amirahmad, and Sanjay Kumar Misra, ANALYSIS AND DESIGN OF FLEXIBLE PAVEMENTS BY EMPRICAL TOOLS, in the Proceedings of An International Conference Innovative World of Structural Engineering-ICIWSE-2010, during December 25-27, 2010, at Govt. College of Engineering, Aurangabad, Maharashtra, (India). 9. Aslam and M.S. Palanichamy, Inelastic analysis of a pin loaded lug by finite element method, Journal of Structural Engineering, Vol.32, No.5, December 2005-January 2006 pp. 397-400. 10. Aslam, Finite element analysis of stiffened beam column connection, in the Proceedings of Structures 2009 Congress organized by International Journal of ASCE held at Austin, Texas during April 30-May, 2 2009. 11. Aslam, Sekhon, G.S. and Kumar, R., Elastic analysis of a pin loaded lug, International Journal of Aircraft, American Institute of Aeronautics and Astronautics(AIAA), Vol. 41, No. 2, March April 2004 pp.365-371 U.S.A.
Palanichamy, M.S., Aslam, D.S.R.Murthy and R.Manikandan, Fatigue analysis of piping components in power plants, Proceedings of an International Symposium IMPLAST 03 on Plasticity and Impact Mechanics held at Vigyan Bhavan New Delhi during March 2003, India. 12. Aslam, Kumar, R. and Sekhon, G.S., Elastic analysis of a pin loaded araldite lug by moir fringe method, International Conference on Laser Applications & Optical Metrology, December 2003, IDDC, I.I.T. Delhi, New Delhi-110 016. 13. Aslam, Sekhon, G.S., Kumar, R.and M.S. Palanichamy, Elastic analysis of a pin loaded lug, 43rd AIAA/ASME/ASCE/AHS Structures, Structural Dynamics and Material Conference, April 2002, (paper 2002-1325) Denver, Colorado, USA. 14. Aslam, Palanichamy, M.S., Sekhon, G.S. and Kumar, R., Rigid-plastic analysis of a pin loaded lug, Proceeding Plasticity 2002, Aruba, Jan. 2002, Int. J. of Plasticity, pp-552-554 USA. 15. Aslam, Kumar, R. Sekhon, G.S. and Palanichamy, M.S., Strain analysis of a lug by moir fringe method, in Proceedings of International Conference on Shot Peening and Blast Cleaning, Sep. 2001, M.A.C.T., Bhopal pp- 200-209. 16. Aslam, Nath, Y. Nath, K.Vijai and S Udhayasankar, Numerical studies on slotted beam column connections, in the Proceedings of 2005 New York City Structures Congress organized by International Journal of ASCE held at New York during April 2005. 17. Aslam, Effect of across-wind response on tall slender towers of circular cross-section, in the Proceedings of 2005 New York City Structures Congress organized by International Journal of ASCE held at New York during April 2005. 18. Aslam A., and S. Rahman, Utilisation Of Waste Plastic In Construction Of Flexible Pavement, in the Proceedings of National Seminar on Highways Development: Design, Construction, Operation and Repairs organized by The Institution of Engineers (India) and Indian Concrete Indtitute at Engineers Bhawan, Lucknow during 16th and 17th Nov., 2008. 19. Aslam, Kumar, R and Sekhon, G.S., Elastic analysis of a pin loaded araldite lug by moir fringe method, Journal of New Building Materials and Construction World, Vol. 10, Issue-3, September 2004 pp. 72-76. 20. Aslam, B.Raja, M.Rabi and N.Sarvana Kumar, Simulation of Fatigue behaviour of CFRP plates joined with Titanium Plates proceedings of the National Conference on Advances in Manufacturing and Resource Analysis held PSNA College of Engg. & Tech., Dindigul during Feb. 2005. 21. Aslam, Selvachandran, P., and Kumar, N.S., Parametric investigation of reinforced beam-column connections in first National Conference on Recent Developments in Structural Engineering 2005, organized by Dept. of Civil Engg. Of Manipal Institute of Technology during August 2005. 22. Aslam, Selvachandran, P., and Mohan, L.G., Experimental studies on slotted beam-column connections in first National Conference on Recent Developments in Structural Engineering 2005, organized by Dept. of Civil Engg. Of Manipal Institute of Technology during August 2005. 23. Aslam, Kumar, R. and Sekhon, G.S., Strain measurement in a brass lug by moir fringe method, One Day National Seminar on Recent Advancements in Engg.. & Tech. Oct. 2001, MSEC, Sivakasi. 24. Sekhon, G.S., Aslam and Kumar, R., Finite element analysis of large deformation of a lug, ISME Conference, March 2001, I.I.T. Madras, Chennai. 25. Aslam, Sekhon, G.S. and Kumar, R., Strain measurement in a lug using moir technique" 11th ISME Conference 3-5 Feb. 1999, IIT, Delhi. 26. Aslam, Sekhon, G.S. and Kumar, R., "Stress analysis of an elastic lug by boundary element method", 11th ISME Conference, Feb. 1999, I.I.T., Delhi. 27. Aslam, Sekhon, G.S. and Kumar, R., "Stress analysis of mechanical contact of two elastic bodies of arbitrary shape", Proc. 40th Congress of ISTAM, Dec. 1995, M.A.C.T., Bhopal. 1. Journal of New Building Materials and Construction World given honorarium of Rs.1000/- for publishing a paper titled Elastic analysis of a pin loaded araldite lug by moir fringe method, Journal of New Building Materials and Construction World Vol. 10, Issue 3, September 2004, pp72-76, India. 2. Awarded Post Doctoral Fellowship in Mechanical Engineering Department of University of Maryland, Baltimore County, U.S. from Jan.2002 to July 2002. 3. Awarded Institute Fellowship from Indian Institute of Technology Delhi, New Delhi @ Rs.6,000 per month during Ph.D.
1. Organised a one day Workshop on, Graphics and Multimedia, at M.I.E.T. Engineering College, Trichy on 29th Nov., 2006. 2. Inaugurated a State level Seminar on, Renewable Energy for Rural development, organised by Energy Club Of M.I.E.T. Engineering College Sponsored by Ministry of Non-conventional Energy, New Delhi thru Tamilnadu Energy Development Agency, Chennai at M.I.E.T. Engineering College on 20th Feb., 2007. 3. Organized a Seminar on, Awareness Programme for Villagers on Low Cost Construction, sponsored by Tamil Nadu State Council for Science & Technology (TNSCST) and National Council for Science & Technology (NCST) at C. Abdul Hakeem College of Engineering & Technology, Melvisharam, during Nov. 2006. 4. Organized a Seminar on, Induction Training for Teachers, sponsored by Indian Society for Technical Education at C. Abdul Hakeem College of Engineering & Technology, Melvisharam, on 7th September 2006. 5. Organized a Workshop on Digital Image Processing at C. Abdul Hakeem College of Engineering & Technology, Melvisharam, on 19th August 2006. 6. Organized a National Level Technical Symposium HAKTEC 2006 at C. Abdul Hakeem College of Engineering & Technology, Melvisharam, on 22nd September 2006. 7. Indian Institution of Production Engineers (IIPE) Students Chapter of C. Abdul Hakeem College of Engineering & Technology, Melvisharam has been inaugurated by Mr. M.H. Zahed, National Chairman of IIPE on 16th September 2006. 8. Organized a State Level Seminar on, Renewable Energy Energy of the Future in connection with the Celebration of Rajiv Gandhi Renewable Energy Day, Sponsored by Ministry of Non-conventional Energy, New Delhi thru Tamilnadu Energy Development Agency, Chennai at National College of Engineering, Tirunelveli on 20th Aug., 2005. 9. Organized a National Level Technical Symposium Zeal 2006 at National College of Engg, during Feb.2006. 10. Organized a Seminar on, Technical Inputs for Farmers in irrigation management and resource utilization, sponsored by Tamil Nadu State Council for Science & Technology (TNSCST) and National Council for Science & Technology (NCST) at National College of Engg., during Feb. 2006. 1. Attended an International Congress Structures 2013 organized by AMERICAN SOCIETY OF CIVIL ENGINEERS in Pittsburgh, Pennsylvania, USA from May 24, 2013, at the Westin Convention Center. 2. Attended The 2nd International Conference on Rehabilitation and Maintenance (ICRMCE) Innovative Rehabilitation and Maintenance for Sustainable Construction at Solo Indonesia during 8-10 March 2012. 9. International Conference on Laser Applications & Optical Metrology, (ICLAOM 03) held at Instrument Design Development Centre Indian Institute of Technology, Delhi, New Delhi during December 2003 (Sponsored by Mepco). 10. International Symposium on Plasticity and Impact Mechanics IMPLAST 03 held at Vigyan Bhavan New Delhi during March 2003, India (Sponsored by Mepco). 11. Symposium on Large Deformations, 1 September 2002 held at India International Centre, New Delhi (Sponsored by Mepco). 12. Two-Day Workshop on Energy Management In Buildings for Efficiency & Economy And Role of Intelligent Buildings during 5th & 6th Sept. 2002 at Hotel Le Meridian Windsor Palace, Janpath New Delhi 110 001. (Sponsored by Mepco). 14. QIP Course on Web Design and Development conducted by Indian Institute of Technology Delhi, during Dec., 2001 (Sponsored by AICTE & Mepco). 15. QIP Course on Logic Programming and Programming in PROLOG conducted by Indian Institute of Technology Delhi, during May, 2001 (Sponsored by AICTE & Mepco). 16. 11th ISME Conference, during 9th to 11th Feb. 1999, I.I.T., Delhi (Sponsored by I.I.T. Delhi). 17. Effective Teaching Strategies , September 2001, Mepco Schlenk Engineering College, Sivakasi. (Sponsored by Mepco). 18. One Day National Seminar on Recent Advancements in Engg.. & Tech. Oct. 2001, MSEC, Sivakasi. (Sponsored by Mepco). STTP Course on IT and its applications in civil engineering conducted by Mepco Schlenk Engineering College Sivakasi December 2003 (Sponsored by AICTE & Mepco). 19. National Seminar on Recent Trends and Applications of Mathematics in Engineering March 2004 MSEC, Sivakasi. 1. Member of American Society of Civil Engineers (USA), since 2001 (46488). Dr. Aslam Amirahmad, an accomplished academician has joined the Civil Engineering Department of Glocal School of Technology, as a Professor & Head. Assuming charge on 31st August, 2015, Dr.Aslam has set his goals to develop the Department of Civil Engineering as a Head of the talented and dedicated Faculty members and to take the Civil Engineering Department to new heights among the top Departments of Glocal University. He has worked in various capacities in India and abroad. He was the team member for getting A5 grade for the Mepco College from National Board of Accreditation and Accreditation for PSAU from Accreditation Board for Engineering and Technology (Accreditation Board for Engineering and Technology, USA), USA. He has completed a research project under TAPTEC Scheme of grant (Eight Lacks) sanctioned by AICTE during 2003-2006. He has completed three research projects while serving in Kingdom of Saudi Arabia.